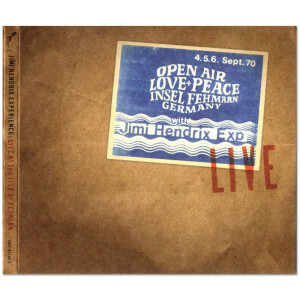 The Jimi Hendrix Experience: Live At The Isle Of Fehmarn marks the eighth release in Dagger Records’ popular bootleg-style recording series. 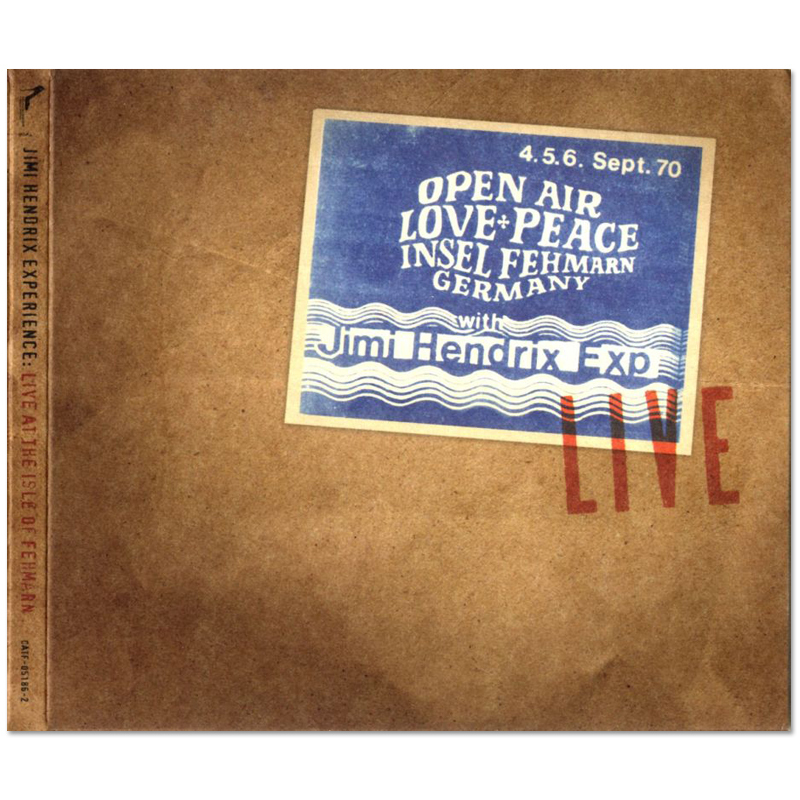 This historically significant album features The Jimi Hendrix Experience’s final live performance on September 6, 1970 during the Love & Peace Festival held on the Isle Of Fehmarn in Germany. Jimi's Isle Of Fehmarn performance has been widely bootlegged over the last 35 years yet it was never professionally recorded. Amateur recordings made from the audience by fans have served as the only known documentation of this historic concert until now. As the eighth entry in this popular 'bootleg' series, Dagger presents a newly discovered recording made by the festival's promoters. Unbeknownst to Hendrix, the promoters captured the group's entire performance by feeding two overhead stage microphones into a consumer grade Revox reel-to-reel tape machine located off to the side of the stage. The resulting document, rough hewn and unmixed, is clear and not unlike the amateur audience recording featured on the initial Dagger offering Live At The Oakland Coliseum.